Somewhere within the first seven minutes of listening to and watching the latest iteration of Game Informer’s long-running podcast/video series, I realized that I wanted to do one of my rarer pieces in which I list some interesting details and my own thoughts in regard to them. I’m also going to take this opportunity to more than likely thoroughly embarrass myself with my extensive knowledge on some subjects and lack thereof whereas others are concerned. Reader beware, you’re in for a scare…as a certain scary mastermind might say. My first point of interest comes about four minutes or so into the two-hour show and is in regard to Ninja Theory and their work on Hellblade, as well as previous titles of interest including the DMC: Devil May Cry remake/reboot. For some strange reason I had been thinking they also developed Ninja Blade, a 2009 game for last generation consoles (predominately the 360) that centered on a similar demonic situation to some Ninja Gaiden narrative points. However, to my ultimate surprise that was handled by none other than our friendly neighborhood From Software- the creators of the variety of Souls games for those of you unfamiliar with the name. My next point comes in regard to the discussion surrounding Hellblade itself and the talk of experiential storytelling versus outright cutscenes and loss of player control. I find it incredibly interesting that the game markets itself as not only trying to adhere closely to history and historical accuracy, but as a story revolving around perception and mental illness as well. These are such heady topics in today’s society and aren’t often handled by any industry or medium, meaning this is venturing into somewhat dangerous and uncharted waters and I’m truly interested to see how the portrayal holds up. Interestingly enough, a close comparison I would draw at least from how I’ve seen the footage play out thus far in-game would be to That Dragon, Cancer’s perception of the world and of physical illness rather than mental. I think oddly enough these two projects have some semblance of a close relationship in the tone they wish to convey and the important matters they wish to both show through experience and deal with through narrative promise. The next portion of the video that drew my attention was some of the discussion regarding Drawn to Death and its myriad of inspirations- from the creative productive of David Jaffe to Anarchy Reigns to Brutal Legend to MadWorld so on and so forth. Having of course seen the review and some more thoughts regarding it in the time since the latest episode of the GI Show has aired, I’m immensely disappointed with any of the promise the third-person arena shooter hybrid had being pretty much a loss, despite it not being anywhere near my radar of interesting games to pursue in the first place. I think perhaps my thoughts line up somewhat with the simple premise that it’s an interesting and semi-unique concept and a shame that it doesn’t really pan out whatsoever from that. I also enjoyed the particular question regarding who showcased more versatility and overall effectual game development chops- Rockstar North or Naughty Dog. Personally I think I agree with a lot of the points made- while it is true Rockstar has had a few different genres on their plate, for the most part they’ve stuck to the tried and true formula first showcased by GTA’s open world design and have emulated it greatly (admittedly) in their other works of recent years such as Red Dead Redemption as well. On the other other hand Naughty Dog has handled several amazing story arcs across different series, genres, and narratives entirely- going from the fantastic Uncharted series to The Last of Us and even to more cartoonish games prior to both of those hits. If I had to choose based upon flexibility and talent for world-creation in terms of diversity versus depth, Naughty Dog would take my vote as well. I particularly liked the comments regarding conciseness and succinctness of writing in terms of what the most common editing tips were that the crew had been given as writers themselves. Obviously as I don’t have to deal with deadlines and word constraints for my free-flowing combo of a set-piece write-up (or whatever the heck you want to call this site and my posts) I can afford to go off on tangents and speak my mind in thorough and cluttered posts such as this. While that is an obvious disadvantage to some in terms of reviews and response pieces at times, I also utilize it as a way to give a truly in-depth and all-encompassing look at whatever thing piques my interest for that particular piece. Of course, I don’t write in this same style for other specific purposes- such as when it comes to novel or short story writing or any of the other things I typically dabble in, so take that with a large grain of salt. Write in whatever way suits you best and don’t let anyone tell you otherwise- unless it’s your editor; you should listen to that person because they will get you to the finish line. I recognize the fact that I’m jumping all over the place here in terms of topics despite following the base chronology of the podcast, yet I also really appreciated the mention of Evo. I think more games- like Spore in some ways, for example, would benefit from that same sort of simple approach and simple focus in terms of leveling up both design and scale alongside plot and character themselves. I sort of see similar attributes in the recently released Everything, however that even pales in honest comparison to some of the factors of Evo itself. I think another particularly useful line of questioning and responses stems from the previews and misconceptions area of the podcast as well. Ultimately I feel like the majority of games will get a better preview even if the final product turns out to be crap. Whether this is because most of us are innately optimistic in what we hope to see in the final product or solely because developers are obviously going to show their best work off remains to be argued. As for misconceptions about the industry, as with any other industry I feel that this sort of insider access can and will always give way to changing opinions and open up new viewpoints to people as they discover what truly goes on behind the scenes. I myself only know a little bit of it from a journalistic and press point of view, yet I’ve been active in the development process before with projects and can certainly understand the struggles and difficulty with decision-making there for example. Short of going into the intricacies and details of the phenomenal interview with Rare on Yooka-Layleewith a fine-toothed comb, I think that’s about the majority of highlights I’ve got to hit on this particular episode. I’ve done thought blogs and reactions to GI magazines in their entirety and highlighted things I’ve particularly enjoyed about videos before but it has certain been some time. So, if you all would like more of my long-winded thoughts from time to time you can always feel free to comment or ask for them, or simply yell at me to write more of them down. Cheers. I’m always down to be introduced to newer projects in the gaming industry and whenever I stumble across something that sounds interesting or seems like it has promise, I typically do my best to share it with people. My latest interest has been a game that initially started out as essentially a Resident Evil 2 fan remake and has since turned into its own project, albeit with similar roots and origins. Daymare 1998 seeks to add the current generation of visuals to the gameplay and atmosphere of some of the greatest nineties games and films. While in many ways this seems like the perfect combination of catering to nostalgia, it also looks to hold up by today’s higher standards as well. This particular game was brought to my attention through the first alpha trailer that debuted not too long ago, although the project itself has been talked about since roughly September or October. I’ll admit there aren’t too many details out to discuss as of yet, however I do like the tense atmosphere and the haunting scenery that I’ve seen so far firsthand thanks to YouTube videos and discussion on other forums. Actually, one of the first things I noticed and thought when I glimpsed the footage was how much the third person perspective and outfit of the protagonist seemed to surprisingly remind me of Sam Fisher, best known for his role in the Splinter Cell games. While this is a far cry from that series and also bears striking similarities of course to the Resident Evil titles of old, it was an interesting connection for my brain to make. 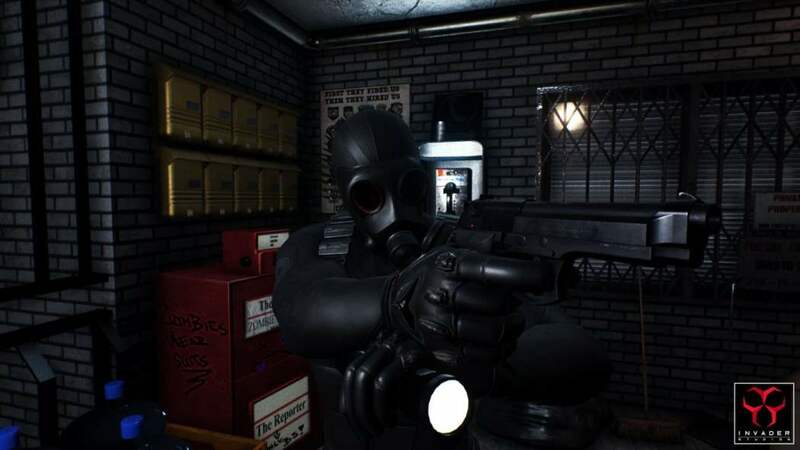 As best as I can compare it right now without degrading the hard work of Invader Studios or the project as a whole, it sort of reminds me of a Resident Evil: Umbrella Corps look albeit with the horror and atmosphere of a traditional Resident Evil game. I like that the pacing seems to be on par with the older more tense and suspenseful horror titles, although the mechanics looked well-oiled an pretty good even for alpha footage. They’re certainly on the right track and seem to have an interesting horror game conceptually as well as physically on their hands. So if that alone interests you, I’d suggest you keep up with the project through their website and through Google, which offers plenty of juicy sites to view other people’s opinions and comments on. I know there’s not too much to be said for the game yet despite it’s self-sufficiency as a third-person survival horror right now, but I do like what I’m seeing so far. It reminds me a little bit of Metro with the gritty visuals despite supposedly planning on utilizing Unreal Engine. I feel like drawing in some elements of other cult horror series might do it some more good, so perhaps we may even get to see familiar elements from FEAR or STALKER in there as well. You never know, and a guy can hope am I right? I do hope you all enjoy these short blurbs and sort of previews I’ve done here and there lately, as well as the continual stream of content I’ve been trying to provide across all mediums- gaming, films, television, and more. I’ll do my best to stick to a semi-schedule and get posts out every few days or so at the least. After all, I do what I do not just because I enjoy it, but because I like being able to help others to see a wide variety of games that are released each year and to maybe discover a new project they hadn’t heard of previously as well. Dontnod Entertainment is a very interesting game development studio. They have been the creators of some mesmerizing projects that have become in many ways cults classics, as they have been flawed yet intriguing concepts. They’ve crafted the third-person action/adventure title Remember Me, which if memory serves correctly I reviewed and gave an 8.0 despite its flawed premise. They’ve also created the episodic tale behind Life Is Strange which has received critical acclaim for the most part. While they seem to have an affinity for time-based gimmicks and mechanics, their next title seeks to venture to a completely different genre- that of an action role-playing adventure set in early 20th century England. I’ve been a fan of both of their previous projects despite their limitations and some polarization due to their inherent flaws. However, Vampyr strikes me as a truly intriguing new idea and I hope it can deliver. There are undoubtedly some pitfalls to avoid along the way and I could very easily see this particular game being either their worst yet or falling into some of the same issues they’ve engaged before, however I’d also like to remain optimistic about its chances. As a history buff of sorts, the premise for the narrative alone is intriguing because it is set during the early 20th century in a world ravaged by influenza and strife. The fact that your character is a doctor and vampire truly should make for some memorable morality checks along the way. Based on the gameplay that I’ve been able to witness thus far, I can already see some of the same elements that plagued Remember Me’s gameplay. Despite Vampyr being less action-oriented than Remember Me’s brawling combat was, the combat itself still looks stiff and even boring at times. Admittedly, it has a way to go until completion, however I hope they can iron these kinks out. Another area of concern is the basic animation of characters. While the voice work that I’ve heard thus far has seemed okay and passable, I’ve noticed time and time again that speech does not line up whatsoever with characters’ mouths and that their movements often come off as jerky and lurching. These two issues alone account for a huge amount of ground in games as animation and fluidity of control are key. It would be rude of me not to offer some praise as well however, and that is exactly what I’m about to do now. So far I am liking the overall graphical and environmental design of the game. These were also strengths I witnessed in their initial project (Remember Me), as they know how to create both a unique and beautiful look. In this case, it’s a dark and dreary European landscape marred by sickness and chaos. While many areas don’t feature much of a color palette save for shades of brown, grey, black, and darker elements, it works for what the game seeks to convey- a vampire adventure story. While I’ve been able to glean small bits of backstory and information concerning the overarching narrative from a variety of sources, there isn’t much to be known about the story itself quite yet. Therefore, I truly hope Dontnod can deliver both an interesting and meaningful plot and move more towards a better crafted story than their initial game debuted. As long as they can somehow find ways to not get bogged down in the technical details and to keep the adventure and story fresh and interesting, I could see Vampyr being not only a success but an enjoyable experience. Few can say that about the Spanish flu, in my experience. It has its obvious issues already and the studio has had hit or miss success before with how their games have been received, however I think they’ve had some time to build upon their strengths and I believe this game could be a good one if they continue to work hard and build upon what they’ve already got nailed down. As it stands right now, Vampyr should at least be a middling experience and has no excuse to fail completely unless it does so due to the sheer boredom of combat, tedious storytelling, or bad animation. After taking a brief break last week to write about some other topics as opposed to my traditional weekly deals, I’ve returned to give you the lowdown on some Xbox 360 and Xbox One steals. For the most part, if you missed my weekly blog post last week and think you may have missed a few deals, the majority of them are also up for grabs this week and in the future for the month. I’m not sure what the words ‘definitive’ and ‘edition’ may mean to gamers anymore as we see so many special editions, limited editions, and deluxe editions of games nowadays. But let me tell you that this last gen remaster for current generation hardware is quite the steal. Not only is Sleeping Dogs somewhat of a cult classic open-world crime drama, but it is a wholeheartedly fun and enjoyable experience as well. It has its kinks but the overall gameplay and narrative is well worth the hassle. Plus, it’s free. Not to be confused with the woefully received Duke Nukem reboot/sequel of sorts from a few years back, this title features Duke at his…Dukiest? It’s a classic game with a semi-remastered style and taste but still holds up for the most part regardless. If you’re into that kind of thing, then the 30% tag may grab your attention as well as your wallet. Alright, so maybe you’re not a fan of a bunch of arcadey old games, but for some reason a lot of people who never ever played the good old Atari gems enjoy the aesthetic. There are some familiar names and some more obscure titles in these collections, however each goes for a decent $10 when considered the original asking price for each respectively is $20. 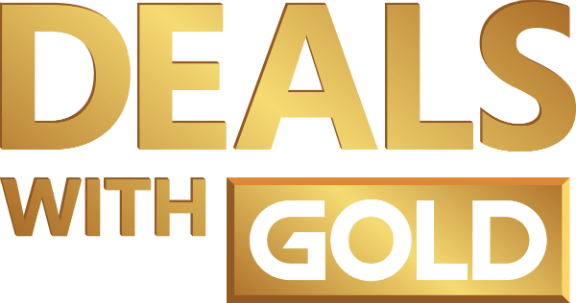 If you don’t have gold membership, it’ll cost you about two dollars more. Retro isn’t always the rage but these collections are a decent glimpse at gaming’s past. Gears of Wars 4’s standard edition alone ships with every Gears game from Judgment through 3 in addition to Gears of War 4. This is a steal even if you own some of the titles because you can simply download the ones you don’t have or not download any of them if you already own them all. It doesn’t add anything to the initial price and the bonus for newcomers to the series is you can buy five games for less than the price of one until the end of this month. I can’t emphasize what a quality purchase that would be. And if you want the Ultimate Edition, it’s 33% off the asking price as well which makes it about as much as the Standard is originally. One of the best racing games ever created and one of the best games in the infamous Burnout series is coming to you free and backwards compatible for those of you who have gold membership. This is quite a steal as well. If you enjoy racing games or would like a taste of the series, I’d recommend it for sure. In the next few weeks, the first Outlast game will be coming to gold members free of charge as well. You’ll have nearly a month to decide whether or not it’s worth your time but if you like horror games and aesthetic adventures, you should definitely give it a whirl. Free is free after all in this case. I hope these little tidbits will continue to be helpful and I hope that my fellow console players will enjoy the shoutouts and heads up as well. Keep playing games and enjoying yourselves and don’t be afraid to voice opinions and comments below as well. Today’s very early blog comes not so long after my last one, but concerns two games- one already released and recently updated and one that has yet to release, that are of great interest to me. One of those games, as you can see above, is the God of War sequel meets series reboot (in some selective ways anyway). The other title is none other than No Man’s Sky, the game with so much potential that received mixed reviews upon release and still puzzles players in many perplexing ways and also recently released the marginally better received ‘Foundation’ update. First of all, I would like to talk about God of War (2017) which is among one of my most anticipated titles for the near future and already looking truly spectacular. If you would like to avoid spoilers, I recommend moving on from here to something unrelated. From what we’ve seen thus far, the game has a setting rooted in Norse mythology which is a lot different than the Greek pantheon we saw throughout the original series. While it has so far been confirmed not to be a reboot, there are many elements that are in some ways rebooting and evolving with the series and its new direction. Kratos’ signature chained blades have been removed (narratively due to God of War III) and replaced with a magical axe which is also more fitting for a Norse-themed character. Plenty more has been changed besides simple aesthetics though, as Kratos has a son and the story itself is more deeply rooted in humanity rather than hatred for the moment. Kratos knows he has done wrong and is doing his best to atone for it in many ways, even if that ultimately will probably lead him to slaughter yet another pantheon of gods and monsters along the way. Combat has evolved realistically but also seems to retain some of the same elements from previous games. Everything we’ve seen up through Ascension seems to return with added capabilities such as Kratos’ son’s ability to aid him from afar with arrows and other light attacks. The reason I stated earlier that the game isn’t a reboot in the traditional sense despite rebooting both the setting and a lot of the narrative in terms of what direction to go is due to the fact that it takes place after the conclusion of God of War’s Olympus and Greek narrative. This all takes place within the same universe albeit one where Kratos has now deigned to reside in a Nordic setting as opposed to a Greek one. It seems to be more focused on the bond between father and son as well as atonement for past crimes and the regaining of his own humanity, more for his son than for himself. Another note of interest is that it also seems to offer more of a surviving day to day dynamic as he and his son are hunters and gatherers, very much living off of the unforgiving land and battling creatures they encounter along the way. I’m particularly excited, not just from a story or gameplay standpoint but from a talent standpoint with the game, as the newest voice actor for Kratos is none other than Star Gate SG-1 alum Teal’c (Christopher Judge, mind you). The soundtrack also shows immense promise as it has been worked on and composed by the talent behind The Walking Dead and Battlestar Galactica. In terms of other miscellaneous details and news about the gamer thus far, it is looking incredibly detailed graphically and the world seems to be a lot wider in expanse even though it has already been established that it will be a linear and not entirely open experience as with the previous titles. And now for my second and final act. No Man’s Sky has received mixed criticism to say the least. Hello Games should be lauded and commended for their incredible efforts with a small cast of developers, however the finished product is arguably also not everything they promised which shouldn’t come as too much of a shock but is still a little bit of a disappointment. It was definitely one of the most hyped up games of the year and of all-time in some respects and while it hits the majority of the mark sometimes it still feels like a directionless and purposeless romp through a boring galaxy mostly devoid of life. I would like to say that for what it initially offers and what it offers now, I have been mostly a fan and less of a critic of the game. I enjoy exploration and deep thought at times more so than combat and action in games. It is the thrill of adventure that calls to me most and No Man’s Sky definitely does give a taste of that. I think procedurally generated worlds are a thing of the future and something that I’ve enjoyed immensely already through a few past experiences. In fact, games with the premise set to release in the future such as Capy’s Below and Double Fine’s Massive Chalice which has already released, have been my favorites. No Man’s Sky recently released an update that essentially rearranges some of the game’s core elements and in my opinion is a better utilization of them then in the previous build. This is almost certainly in direct response to the criticism they have been receiving and I am wholeheartedly glad that they went out and did something about it rather than lashing out against the fanbase instead. The aptly named ‘Foundation’ update essentially offers three starting gameplay modes- a survival, creative, and normal mode each with their own difficulties and modded gameplay elements. As one should expect, survival takes the core premise and ramps up the overall difficulty whereas normal retains much the same experience we had so far experienced to date. The creative mode lies somewhere between the two and has the added benefit of being a sandbox test chamber of sorts, gifting players with nigh infinite resources in their romp across the galaxy and in base crafting paloozas. The original and still main premise of the game is simply to explore and interact with the created environments and wildlife along the way. However with the added benefit of the free update, players can also gather resources in order to craft more items than before and to found their own base on a home planet. If this sounds pretty cool, know that it is even though crafting these locations can be somewhat of a bore in modes besides creative, where these resources take time and money to locate and peruse. No Man’s Sky is still very large and still mostly uninhabited as our own cosmos may be, and being one lone soul in it can often be excruciatingly boring and longwinded at times as well sadly. There’s no narrative pull besides your own fascination with what the randomly generated landscape may throw at you next honestly. To spoil it for those of you who weren’t already aware- so steer clear if spoilers terrify you and you don’t want one of the major secrets of this game ruined, the breadcrumb trail to the center of the galaxy really only results in what is essentially a revelation culminating in a New Game Plus of sorts. Needless to say there is literally and virtually no end to the game or its random content, which is pretty fascinating as a matter of fact but besides being impressive is more of the same. I’m glad to see the developers have answered some of our criticisms and hope there is still more they can address in attempts to make the game both more exciting and lively. I’m interested to see where they go next in a literal galaxy of possibilities. Today’s blog post is going to be about just a few of the games I’m getting pretty excited about seeing in the future. I’m not going to include some of the others (such as Mass Effect Andromeda which is pictured above), but that does not in any way diminish my feelings of excitement or anticipation for them. These five games are ones that I either am looking forward to as continuations of their respective series, because of the promises for new and refined ideas they offer, or simply because I’m intrigued to see how they pan out. So let’s go ahead and dive right in and see what is on our plate. Sniper Elite 4 promises to take players to the beautiful land of Italy, circa 1940s WWII chaos and action (if I recall correctly, it’s roughly 1943 in fact). We’ve already been to many other locales such as Russia and Africa and the colorful palette of Italia truly interests me as well. The main reason I am excited for another shot at the Axis of Evil through the scope of a sniper rifle is because the core of the series has always been strong and even though in some ways Sniper Elite III was a step back from the redux/sequel V2, it also opened the world up and introduced a lot of new gameplay options and ideas. The Legend of Zelda: Breath of the Wild’s art direction and overall design thus far has done more than enough to please me. I really do like the melded sort of art style that brings to mind both Twilight Princess/Skyward Sword and Wind Waker in many aspects of it all. It’s something new and yet also something altogether familiar and intriguing and that is definitely a good thing. When I first heard they were crafting the almost customary new tale for the next Nintendo console, I was hoping it would not be some egregious mistake or fall flat and thankfully I’ve yet to be disappointed. It seems like Breath of the Wild will combine many intriguing new elements as well as some of the same old ones we’ve seen and grown fond of over the years. I hope it can author its own storyline and prove to be as interesting as past entries while also standing on its own legs in that universe. I’m much more curious than I care to admit about where exactly it will fall in the Zelda timeline, however I am also equally pleased if it is yet another entry that stands virtually alone in this respect. Some things will never change and so I know there will be some truly memorable boss fights, puzzles, and exploration for the duration of Link’s adventures. Here’s to a melding of new and old as well as hoping that I find some new tools at Link’s disposal with which to become completely enamored. Interesting naming conventions aside, the upcoming Resident Evil 7 (or Biohazard depending upon your localization) release promises to be entertaining and eventful. I admire the developers for wanting to change things up enough after Resident Evil 6 which was by no means the strongest or the worst entry in the series, in order to keep things fresh and reinvigorate the series for yet another few titles. I’m curious about some of the design ideas they have made thus far but not terribly turned off by that same token. In many ways, this game looks to me similar to what Outlast II seeks to accomplish albeit with that still unmistakably Resident Evil vibe about it and taste all around it. First person combat could amp things up a bit as well as the fact that there’s minimal to no HUD to be seen. I’m definitely one for ambiance and aesthetics and to me that could shake things up quite a bit whether or not you’re a fan of the look. The story seems thus far like it could be more in the vein of the less zombie-filled entries in the series and that also doesn’t necessarily have to be a bad thing. Resident Evil has never been so much about the zombies as it has been about what lengths humanity will go to and whether or not we at times can be the real monsters in terrible situations such as the outbreaks the protagonists have often experienced. Needless to say, the air of mystery surrounding most of the game’s development and details has only strengthened my interest in what could ultimately be make or break for the main series entries. Sundered is more than likely the most intriguing and indie-developed game on this list of games. However, that does not in any ways diminish the expanse of what it seeks to accomplish nor does it do anything to diminish my hopes for the finished product. In many ways it reminds me of what Journey sought to show us and what it accomplished as both art and a game. Perhaps the most fascinating aspect of this particular project is after all the fact that it is an entirely hand-drawn experience, thereby quite literally melding video gaming and art in a way few have rendered it before. I’ll leave the majority of the plot spoilers out of focus, at least as far as this particular post is concerned, however what I have heard thus far intrigues me on many levels. As with Journey’s experience, you are a wanderer of sorts and more than likely seeking to make your own special sojourn, albeit in most instances to escape the hellish surroundings that will otherwise engulf you. This project, like Resident Evil 7, interests me largely due to the fact it is in many ways mysterious and tight-lipped about what exactly it seeks to offer. I have a sneaking suspicion that it will want to show rather than tell what its deepest secrets and greatest mysteries are, and that pleases me greatly. I’ve saved the best for last and if you’re surprised then you shouldn’t be. Routine is an entirely too intriguing project to be left off of any lists of upcoming games that are very interesting and that I am personally excited for. Besides the obvious allusions and callbacks to other survival horror adventures in both gaming and film, it is the core of what the game seeks to offer that captivates me the most. I immensely enjoyed what Alien: Isolation sought to offer, what the talented folks at Frictional Games has done throughout the Amnesia series and with Soma, and what Red Barrel offered us through the demented Outlast series thus far. Therefore, it should come as no surprise that I’d be totally stoked for what Routine seems to mysteriously beckon to us with. We’ve seen more and more little by little with each new announcement and each new trailer or tidbit of information and it has done little to dampen the rising flames licking at my consciousness. I wonder what mysteries this desolate but not quite abandoned facility may yet have to offer us. What horrors of both the synthetic and organic kind we may encounter. And truly what the entire scope of the narrative and game may be. As with a few other games on this list, I’m intrigued not only because it is a new idea blossoming thanks to the culmination of several existing ones, but also due to the fact that it looks entirely too promising to fall that flat.Who knows, we may even get some Turing Test level of humanity checks thrown in as well. I do hope you’ve enjoyed my thoughts and won’t hesitate to share your own. There are so many projects that I am eager to see as they release in the future, and so understandably it was hard to narrow that list down to only five that are both mainstream big-time games and more lowkey independently developed titles. Art is art and games are games and games are art, so it’ll be exciting regardless of their size or scope to see how each turns out. I’m excited for more than the singular reason that I optimistically hope they will all be well-received and entertaining. I revel in the thought that my morality and judgment may be challenged in 2017 and in the future and that these titles may offer more than just a nostalgic or campy experience. Many of us were somewhat skeptical when IO Interactive announced that the next iteration of the Hitman saga would be an episodic release and span almost a year’s worth of time per season. I do have to say, all things taken into account, it went a lot better than it truly could’ve gone. On their own each episode is relatively weak as they offer scant content and measly gameplay. However, as a complete package the deal is sweetened a little bit even if it still has yet to approach even Absolution’s level of narrative or length. Hitman: Season One offers players six episodes and two “summer bonus” missions. One upfront bonus to the episodic release format is that it allows tweaks to be made along the way that can substantially change the experience for the better by the time the season finale rolls around and the entire package gets pushed out. Now, I reviewed Hitman: Episode One way back in March of 2016 and that specific review can be easily accessed here. As a review, the majority of the gripes I had with the game at the time focused less on the overall quality and more on the available content which was scarce as was to probably be expected. The launch itself was pretty messy, the content was barely enough to sate players’ appetites for an entire month and a half or so that each episode was supposed to tide us over for prior to the next episode’s release, and the plot was at times incomprehensible. I’ve only sense been able to understand more of the threadbare plot through reading up on it thanks to the Hitman Wiki. A lot of the “Intro Pack” offering was bland and had the feel of a tutorial or demo for the most part. The highlight of the entire deal is probably just the graphics and the quality of controls as the game handles excellently and also looks gorgeous to boot. The replayability takes a substantial hit until you factor in more episodes but the expanded sandbox also adds some more flavor and maneuvering to the mix. Before I dive into my “Complete Package” review, let’s just cover the basics of what it actually offers you as well. So far, Hitman: Season One has been comprised of six episodes and two bonus missions offered in the so-called “Summer Bonus Episode.” We’ve been to Paris, Sapienza, Marrakesh, Bangkok, Colorado, and Hokkaido. Most of these plays have been colorful and bustling with life, which is always key in such a sandbox experience as Hitman. The Summer Bonus Mission also takes place respectively in Sapienza and Marrakesh and is an alternate timeline of sorts to the season’s initial narrative adventure. I definitely suggest that you read both the wiki page and the summer missions blurb on the Hitman website for more information, but be aware of potential spoilers as well. Overall, in short I will save you from reading the entirety of this lengthy review by saying that this is not Agent 47’s greatest adventure and far from the best story, but it is a solid experience and fundamentally improved when viewed as an entire package and not one episode. On paper the narrative sounds very engaging and cinematic and should please all conspiracy buffs and franchise fans. In execution however it is a different beast entirely. It is not bad, merely sparse and lacking. There is somewhat of a lack of replayability at times in the sandboxes but rest easy if you missed the narrative the first time around because you won’t discover any enlightening details on the second or third trips either- it simply isn’t there to be found. I will say, fans of the series will get more out of the story than newcomers but only marginally so. This lies more in the semi-revelation of who and what has been masterminding your assassination bids for the majority of the game, as well as some of the hints dropped throughout as to where your next adventures may take place. Do take note also, that if you are a PS4 player there is an entire alternate mission timeline available to you from the getgo entitled the “Sarajevo Six” missions. Essentially, this takes you through each of the locations detailed in the normal timeline with the added benefit of offering a secondary story. While the majority of the quality remains the same, this story is in many ways more straightforward and more entertaining. Speaking of locations and locales, each sandbox is extraordinarily large in comparison to Agent 47’s previous adventures. Whereas Absolution offered a few large areas such as Chinatown, every single mission that this particular game offers is large and expansive. While this is entertaining at times, it also leads to some frustration as one minuscule detail can undermine an entire operation and lead you to simply run and gun your way through an assassination instead of taking the eight hour route through an infested area. Instead of memorizing entirely too complicated guard patterns in even larger areas, finding that one special item in a sea of similar items, or switching disguises an obscene amount of times, many people will more than likely settle for the easy kill rather than the obscure “accident.” It saves time and sanity. The series has taken upon itself to add and interesting feature that tracks “opportunities” for special kills, however this severely hurts the discovery factor that Hitman is known for while at the same time leveling the playing field and taking away some of the frustration. One of the most unforgiving aspects of the game is the unbelievable sight-lines that certain enemies have as well as responses and lack of truly required skill when compared to trial and error guesswork required to progress meaningfully in levels. When you expand the size of each sandbox, there comes with that a certain expectation that enemies won’t be able to see you coming before you’ve even seen them. Instead, many of the guards and enemies operate like snipers in Battlefield and can apparently sense you from miles away before you’ve even come remotely close to contact with them. This is a cheap way to add built-in difficulty and feels forced particularly in the second half of the season when the environments and locations become more hazardous to Agent 47’s health anyways. The game often does a poor job of making it clear what disguises will and won’t work in certain situations, meaning sometimes the same disguise will work one time and won’t another. With these added frustrations, replaying levels becomes a necessity and also a curse. Besides the initial missions or the PS4 exclusive content, there are also added online contracts and “escalation” missions. While these mostly focus on assassinating NPCs in a variety of ways or using increasingly more obscure methods of assassination, they don’t maintain some of the freshness that even the mundane normal missions do. The replayability takes a hit particularly with “Escalation” missions as you must repeatedly take out the same characters in a multitude of ways. 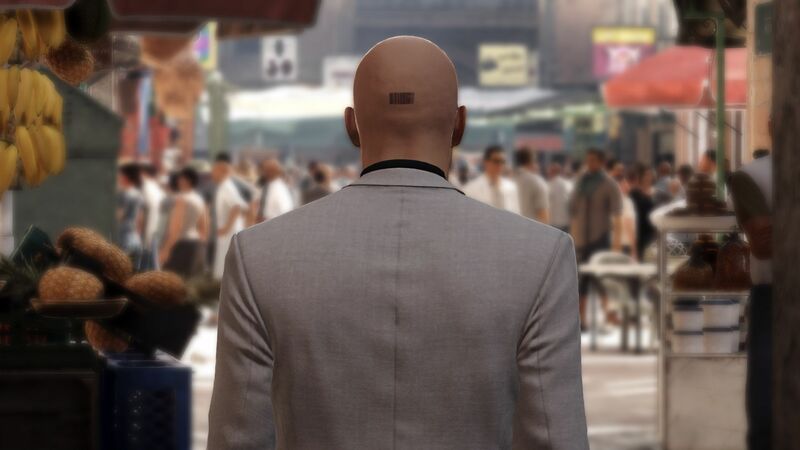 Contracts have been updated as the season has progressed and have become not only easier to navigate but more fun to play through as a result, however that does not diminish the fact that you are virtually required to have a firm online connection in order to even consider playing Hitman. If you do not have a stable connection you can and will lose everything from progress and secondary objectives to unlocks and stats. In summary, Hitman: Season One is an interesting side note in the series’ saga but is not the next stop on anyone’s list of destinations for where the series should go. Season Two will hopefully bring with it a host of needed changes and tweaks while maintaining the fundamentals of what makes this one still marginally a success for the standards of the series. Expand the voice acting so that it goes beyond the small-minded trash that the majority of this adventure’s work was. Alleviate some of the more frustrating aspects of the game while maintaining the sense of urgency and cautious trial and error that Blood Money and Absolution elicited so well in players. And if you’re going to continue with the episodic approach then definitely add more content between releases to alleviate boredom and to usher in more reasons for replaying singular missions. Concept: Play as Agent 47, a hitman with a penchant for the elaborate and over the top, obscure kills that we’ve come to love and appreciate over the years. Graphics: The game looks beautiful but sometimes the frames drop due to so many characters jammed into each mission’s expansive environments. Sound: NPC dialogue is a real waste and the team behind the dialogue is mostly comprised of apparently the same core people because you can easily differentiate persons one through six from each other in each setting. Get more voice actors in there. Playability: Despite frustrating segments throughout, the controls never falter and for the most part are the saving grace of the experience. Entertainment: Each mission offers a plethora of exploration but at the same time each brings with it different frustrations and can make replaying them more of a chore and bore than truly entertaining.